Goalball is a sport designed for and played by blind and vision impaired people. It is a fast-pace sport that relies on hearing and tactile senses to play. The court is 9metres wide by 18metres long and is divided into a number of zones. The ball must contact the playing surface in each zone of the court. Goalball is a Paralympic sport. It is one of the blind team sports played at the Paralympics. The court has the same dimensions as a volley ball court, with goals like soccer goals, but at chest height (1.3 metres high) that stretch across the full width of the court (9 metres wide). There are three players on the court and three substitutes. Players wear a variety of protective equipment to cushion themselves as they dive across the floor and block the ball. 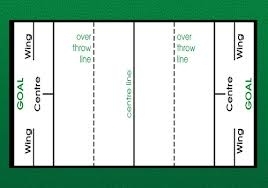 The object of the game is to roll or bounce the ball down to the other end of the court and past the oppositions’ defence and into their goal. Players will often curve and spin the ball in such a way as to make the bells less audible, and therefore making it more difficult for the opposition to hear where the ball is. Many players throw the ball similar to a discus throw action, or a ten pin bowling ball style, and the majority of the throws are hard and fast. Players will defend in a low crouched position and dive across the court to prevent the ball from going into the goal. Want to preview your experience? Players are most welcome to come and try this great game! Sighted players are welcome to play in Local leagues and social competitions. Why not come and have a go and experience the challenge of playing a sport with no visual feedback. The Victorian Goalball Association is always looking for volunteers to assist and support the competition. Volunteering is easy and training is provided to ensure all volunteers are comfortable and have a rich and rewarding experience! Go to the Victorian Goalball Association website to contact the hard working committee and see how you could be a part of developing this great game in Victoria.